Almost every field of work now includes an online element. You can look at retail, finance, health care, the military, the civil service – the list is endless. All these sectors use the internet as an essential part of their day-to-day business. This means that within these fields, there are a multitude of jobs focusing on the online world. If you’re interested in working in IT, then the field is wide open in terms of internet-based jobs. Even if you don’t see yourself as an IT specialist, being able to navigate the internet and comfortably make use of it as a resource and business tool is going to be a great advantage whatever career you’re pursuing. Website design is one of the most popular routes into internet-based work. All businesses need an online presence, and to stay competitive, these need to be increasingly sophisticated. An improved user interface (UI) to keep customers and clients coming back is a requirement common to most sites. Software designers and digital developers who can deliver what is needed are much in demand. If you combine an interest in technology with a creative imagination and a desire to communicate effectively across multiple platforms in fresh and exciting ways, then you might want to learn digital marketing. This is a fast-growing field with many opportunities for those with passion, enthusiasm and the right qualifications. Learn more about the qualities that make a great digital marketer, as well as ways to get the skills and accreditation necessary to make your mark in this fun and exciting field. One of the most in-demand and rapidlyexpanding fields in the world of online work is cybersecurity. Hackers and internet fraudsters are becoming more sophisticated and aggressive all the time, and legitimate businesses need their cybersecurity departments to progress at an even faster rate in order to stay one step ahead of them. If you’ve got the skills and the up-to-date qualifications to protect sensitive databases against malicious attacks, viruses or industrial espionage, then there are a wide range of high-paid jobs and freelance contracts available. The best way to begin is with a general IT diploma from a university, but that really is only the beginning. To get good jobs in the online world, you’ll need to specialize and also keep your skills current. A wide variety of courses and training programs exist in everything from cybersecurity to cloud management, and if you’re serious about working online, then you’ll need to keep up a regular course of study throughout your career. In many online jobs, a proven portfolio of work is often essential, so you need to get plenty of hands-on experience. At first, this may mean taking on unpaid jobs and internships, but these will help you gain useful contacts as well as invaluable experience of actually working in the IT field. The nature of online work also means that there are plenty of jobs that you can do from home. 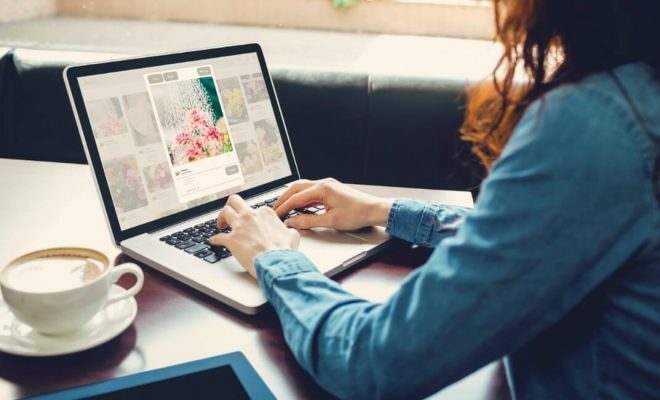 Even if you’re not an IT specialist, writers, artists and other creatives can also find work online, either working for a third party or selling their products and services via their own website. The online world is a world of opportunity. Don’t get left behind.